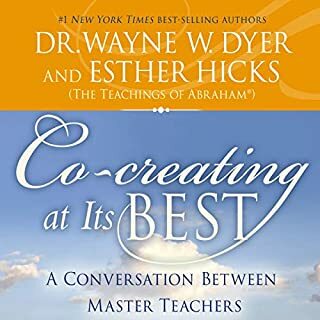 Dr. Wayne W. Dyer explores, for the first time, the region of your highest self and definitively shows you how you can truly change your concept of yourself, embark upon a God-realized way of living, and fulfill the spiritual truth that with God all things are possible - and “all things” mean that nothing is left out. By practicing the specific technique of retraining your subconscious mind, you are encouraged to not only place into your imagination what you would like to manifest for yourself, but you are given the specifics for living out your highest calling and staying connected to your source of being. From the lofty perspective of your highest self, you will learn how to train your imagination in a new way. Your wishes - all of them - can indeed be fulfilled! What's there not to like? The guy was sent here with a big message for all. Wonderful listening to the man himself reading his book. And what a blessing it is that he wrote and read this before passing over. You will always be with me. 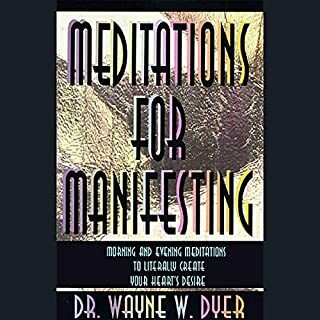 I highly recommend this book for bridging the virtual gap between spirituality and manifestations . I have enjoyed it from the start to end. Wayne Dyer, Easy to listen to but most important creates a world of peace and true love. I have never felt closer to God. An amazing book! 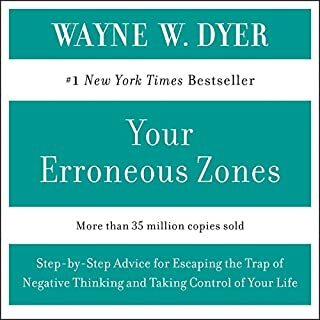 I would highly recommend this book if you are thinking of listening to any of Wayne’s books out this one on your list!! Challenging and inspiring. 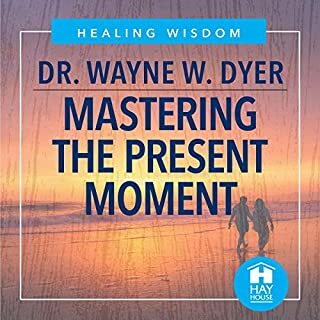 Wayne brings you along the journey of how to live more in peace and harmony. Our world will be better if this message is shared, remembered and enacted. loved it, practical and caring advice. like he made it just for me. and plenty of minutes to listen to. This was an extraordinary book for me. One with open heart and mind alike will hear what they are meant to hear! Beautiful! What made the experience of listening to Wishes Fulfilled the most enjoyable? 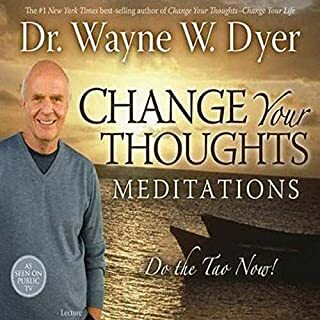 Have you listened to any of Wayne W. Dyer’s other performances before? How does this one compare? I usually listen for shorter segments....20 minutes to maybe an hour depending on what else is going on. What did you love best about Wishes Fulfilled? Wishes Fulfilled contains the most succinct and practical approach to manifestation I've ever read. Wayne's simple, twice a day training of the conscious and subconscious mind can put you on the fast track to manifesting your natural desires. 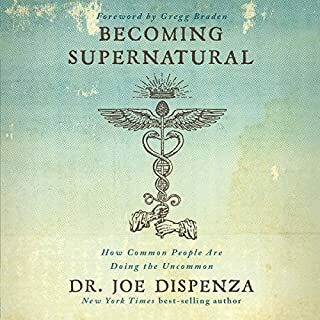 Also, Dr. Wayne includes a transcript of a past life regression that he experienced, just to open your mind to the possibilities of tapping into its deeper reaches. What insight do you think you?? ?ll apply from Wishes Fulfilled? I have been applying the principles in Wishes Fulfilled for several weeks and can already see and feel the results. The ideas in this book are so simple, but at the same time very unique and powerful. In short, it works! Would you consider the audio edition of Wishes Fulfilled to be better than the print version? I didn't read the book - only the audio. 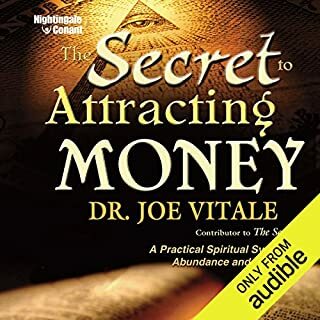 The audio version is fantastic - it is like have Wayne Dyer right in front of you sharing this information one on one. 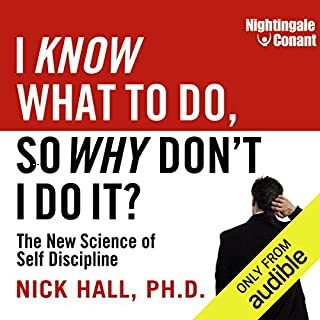 This is a 6 1/2 hour book and I listened to it in 2 days. I enjoy being able to hit the pause button and jot down notes or make notations to listen to sections again. Which character – as performed by Wayne W. Dyer – was your favorite? I enjoy Wayne detailing his John of God healing. What did you learn from Wishes Fulfilled that you would use in your daily life? The I AM affirmation (which I knew from attending Unity Services) and the section entitled, "now I lay me down to sleep". It's a great reminder to program my subconscious mind the last 5 minutes prior to falling asleep. If I wake up in the middle of the night, I start the process over, stating several I AM affirmations and visualization my desires. I highly recommend this book because it can help you change the way you use your thoughts and that equals changing your life. What was one of the most memorable moments of Wishes Fulfilled? There is a positive healing quality to Wayne's voice as he narrates that is tremendously powerful and uplifting. His personal stories and analogies are on-target and helpful. 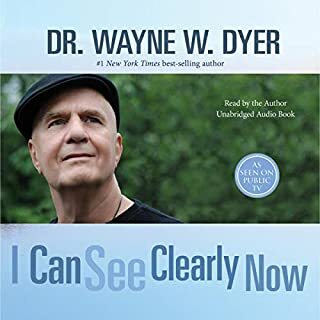 The positive vibration and energy of Dr. Dyer's voice makes a huge positive difference to the experience of this book! I took my time with this book, internalizing it day by day. I continue to re-visit parts of it. What did you like best about Wishes Fulfilled? What did you like least? 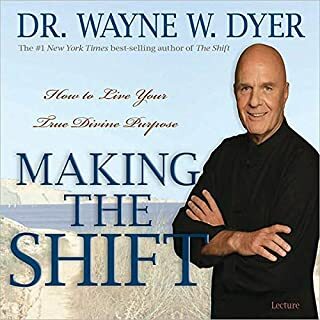 If you’ve listened to books by Wayne W. Dyer before, how does this one compare? 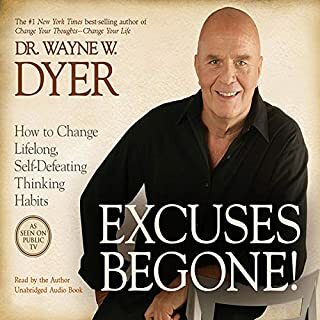 It seems that Dr. Dyer has repeated the same stuff in his last 5 or so books. This is no different. The message is great but it is just a rehashing of every book since the power of intention. Did Wishes Fulfilled inspire you to do anything? As always Wayne Dyer Making it Right! It's Nor better or worse; I drive a lot, so for me the audio version is great! The simplicity of the message! What insight do you think you’ll apply from Wishes Fulfilled? Start From the end and 5 minutes before going to sleep! Good book. Difficult to listen to. I love Wayne Dyer's work. But listening to his voice in this audio is difficult. His voice sounds gravelly. It sounds like he is reading, rather than his usual talking voice, and he reads faster than he normally talks. I wish I had read the book instead. I find Dr. Wayne's voice soothing and I have enjoyed listening to him. This book has shifted my views on life and given me a brighter perspective in my world. 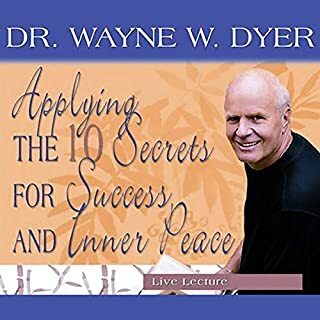 What about Wayne W. Dyer’s performance did you like? Anything is possible, If you believe it to be so. I would and have recommended this book. I pretty much love all of Wayne Dyer's books. I've used him to expand my horizons in the spiritual world for years. 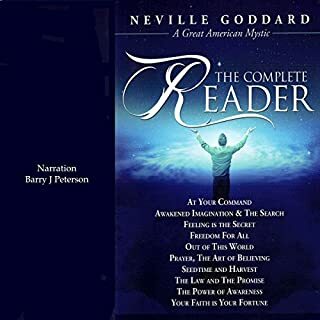 In my quest of knowing the "real me", I also began reading the works of Neville Goddard. This book has it all! As he did for several of his books, Wayne took a book from another author and explained it in his own way and by using personal stories made it real. I also love Wayne's narration. 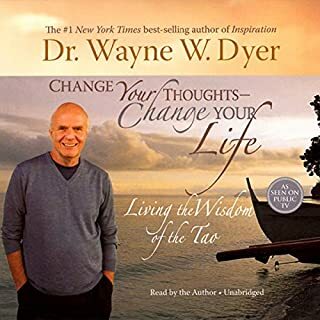 Even though I never got a chance to hear him speak while he was alive, I can listen to this audiobook and still learn a lot from Wayne Dyer. 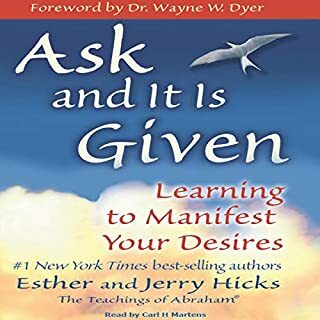 This audio book is a great "how to" in manifesting. I follow Everton Football Club, I have done all of my life. I started with the book last week. 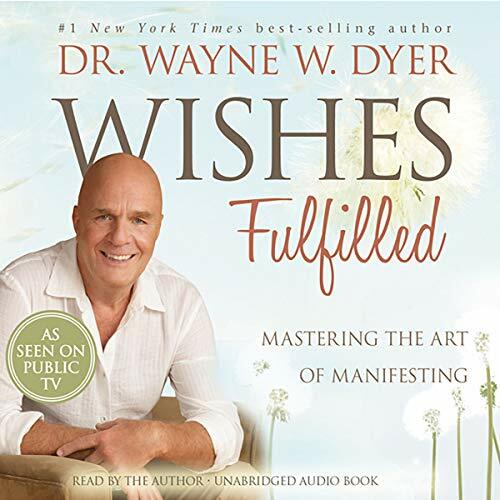 I feel to sleep to sleep listening to Wayne's powerful wisdom/insights/teachings in the Wishes Fulfilled audio book. I forget which point in the book I was at. But, I was moved to randomly ask or seek a desire for Everton to score 6 goals in their next game. Weird and wonderful. I remember trying to "desire" from a place of un-attachment and total expectancy that Everton win and score 6 goals. For the record, Everton maybe scored 6 goals about twice before, like in "forever". So the chances of Everton scoring 6 goals are like slim to none. Low and behold, next Everton game is Everton 6 Sunderland 2.... Bonkers, flooky, BS.... But for sure, this happened. I love Wayne's authentic sharing. We could do a lot worse than learning from the short-cut of his life and messages of channeled teachings. I loved this book! 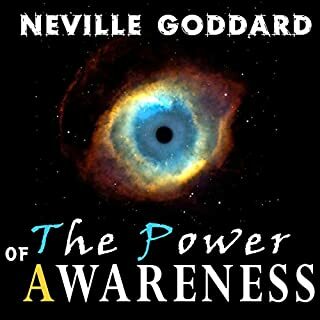 This book is influenced by my favourite book of all time 'The Power Of Awareness' by Neville Goddard. I think Wayne Dyer does a good job of aiding the process of manifesting the life that you wish. I would recommend it if you seek the understanding of the power of your imagination to create. Would you try another book written by Wayne W. Dyer or narrated by Wayne W. Dyer? I had to skip the first hour of the audiobook - I found it too upsetting. It opens with a detailed account of a young student waking up one morning with cerebral palsy. I couldn't take it and it's been on my mind ever since. In this sense, the book isn't what I was looking for - a heartwarming, inspiring, easy listen. It may very well work for others, but I thought I'd communicate this for people whom it might upset. I'm sure Wayne Dyer's other books will suit better. I will try another. I personally don't much like his performance. It's a bit too mellow for me...I like to listen while I'm walking and this isn't at all the right mood. I would recommend it as a night-time or reflection-time recording. 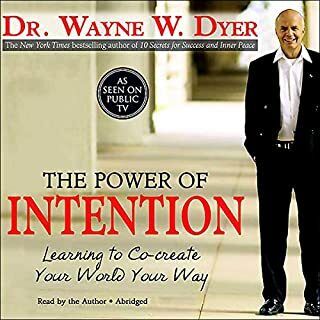 Loved Wayne Dyer's interpretation of applied intention as the path to wish fullfillment. Whatever you wish for, be prepared to allow it in to your life and then do the homework. Nothing happens without purposeful intention fuelling the fires of fullfillment. Loved it! It hits you after a few times of listening to it. You get it. Amazing! found this book thought provoking, mainly of interest genuine good intentions from author i think.. Thank you Wayne for your divine wisdom. a very enlightening read. thoroughly enjoyed this book. 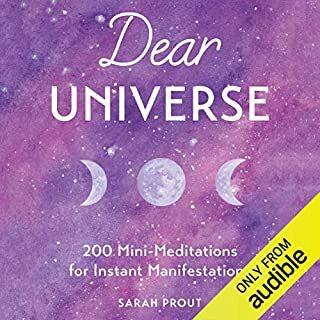 Loved every second of this audiobook. Will probably listen to it over and over.